LA-Series Actuators are designed for use on large DeZURIK AWWA Butterfly Valves. The LA-Series Actuator meets the requirements of AWWA C504 standards. The link-arm mechanism allows the LA-Series Actuator to provide characterized closure that slows valve travel and increases torque as the disc comes into the seat. The actuators feature high compressive strength yoke nut bearings that ensure reliable operation and increased cycle life. 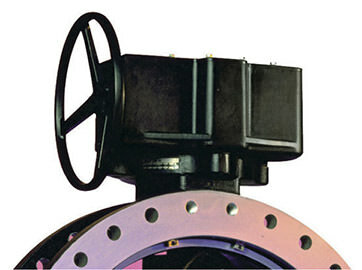 The actuator is self-locking, maintaining valve position under varying flow conditions.